I have to confess - even after writing hundreds of articles about smartphone imaging I still get confused sometimes about digital zoom, especially in the realm of PureView. Exactly how far can you zoom in, on each device, for stills or video? What are the limits and what happens if you go beyond them? Here’s a helpful guide that I prepared earlier. Admittedly the guide boils down to just the table below, but the numbers in it are important - and too large to be memorable. Even after years of writing camera head to heads using Lumia smartphones even I can't quote any of these frame sizes off the top of my head! There are some key caveats though, and well worth talking over. For starters, when shooting stills, you only get 'lossless' zoom at all if your PureView device is in an oversampled mode, i.e. 8MP or 5MP, depending on device. So, on the Lumia 1020, groups of around six or seven pixels are combined into one 'pure' pixel in the final JPG, while on the 930, 1520, 950 and 950 XL (etc. ), groups of three or four pixels are combined (the exact combination algorithms are proprietary and not known). Then, as you zoom in with multi-touch or a finger swipe up the display, the degree of oversampling reduces until you reach maximum lossless zoom (as quantified above), at which point you're snapping your 5MP or 8MP photo using a small portion of the high resolution sensor, but there's still one pixel on this for every pixel in your final JPG, so nothing's been lost yet. Where things get interesting, and controversial, is that on the Lumia 1020, when you reach 2.5x lossless zoom the interface stops you going any further, i.e. you always stay within the capabilities of the sensor. While on the Lumia 950/XL, there's not even a small detent at maximum (1.5x) zoom, so almost every zoomed image in real life is going to be in the realms of digital, lossy zoom, with the number of pixels used in the sensor being less than the number in the final JPG. I've argued with Microsoft's imaging teams that there should be an optional 'stop' at maximum lossless zoom, or at least a visual detent in the UI, but there's been nothing seen along these lines as yet. Even more interestingly, some manufacturers have shown that it's possible to venture into the realms of digital zoom without getting blocky results. Samsung's algorithms are particularly good, interpolating between data from adjacent pixels to 'fill in the gaps' intelligently. There's a fantastic article here that explains about the different methods for implementing digital zoom, and it's clear that Microsoft still has work to do here. In my tests, digital zoom for stills on the Lumia 950 pair of devices is useless - it's better to just shoot at 16MP and then then crop as needed - you'll end up with a smaller image (e.g. 3MP) but at least it'll be clear and natural. I'd love to eat my words here though - for Microsoft to re-do the digital zoom in Windows 10 Camera and give us another 2x factor on top of the existing 1.5x lossless. Watch this space. Remembering the zoom factors when shooting video is also tricky - and, of course, it also depends what resolution you're shooting at - but at least you don't generally have to worry about the video equivalent of 'lossy'/digital zoom - there's usually plenty of spare resolution from the sensor, even when shooting 1080p video. After all, a 1080p video frame is 'only' 2MP, so you can see how there's overhead that can be used on almost any smartphone camera. 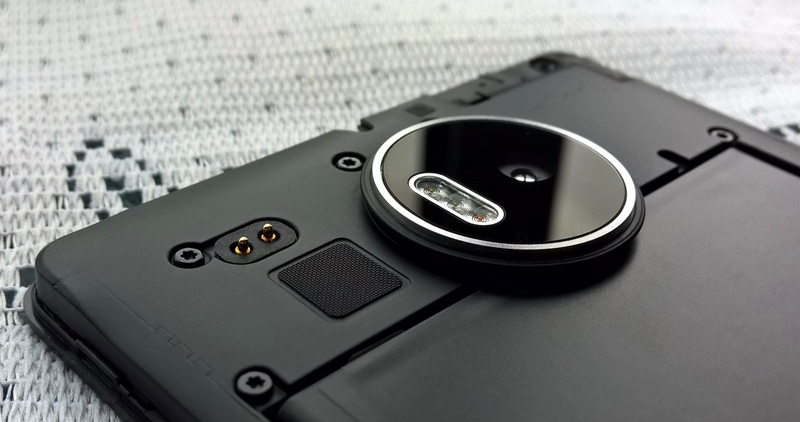 I'd like for there to be a 'hard stop' on these devices in video mode - again the Lumia 1020 does it right. So you'd zoom in while shooting video and then, when you're down to 1:1 on the sensor and each pixel is recording data for a pixel in the output 1080p video frame, no more zooming in is (or should be) allowed. In my tests, the 950 and 950 XL (and Windows 10 Camera generally) let the user zoom when shooting 1080p video to almost 4x, i.e. beyond the lossless range, which is disappointing. Again, Microsoft, let's have at least an option for purists/enthusiasts to shoot with a hard stop at the sensor resolution limit. If there's a takeaway here, other than more coding for Microsoft's engineers to do, it's that you should exercise restraint when zooming in still or video mode on the modern Lumias with Windows 10 Mobile - just because the Windows 10 Camera UI lets you zoom in a long way doesn't mean you should. Think about the zoom ratios in the table above when snapping or filming. PS. 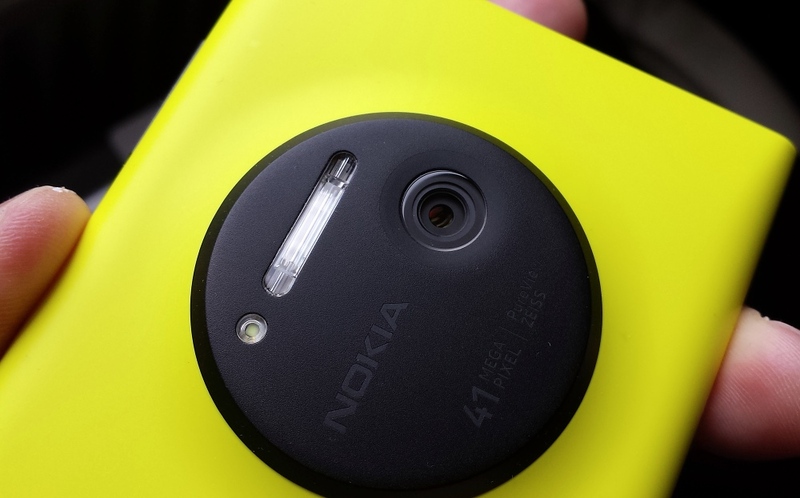 Or, if you have a Lumia 1020, then just lean back and relax, it's all handled/limited for you just perfectly!